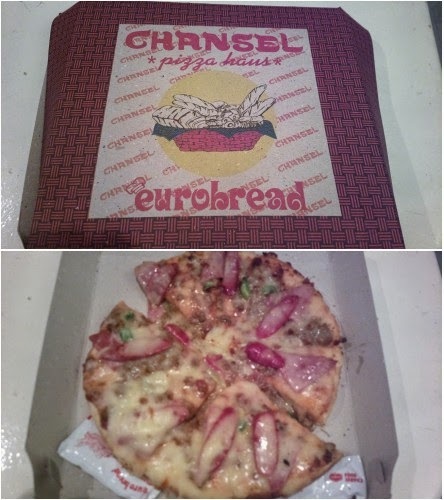 There is a cheap pizza brand that doesn’t taste cheap: Chansel. This pizza is more affordable than most popular pizza brands (just a little over Php 100 for the sole standard size) but it’s similarly sumptuous and offers various flavors you can choose from. Chansel doesn’t have fancy restaurants or fast food locations. But you’d find its name in food stalls or carts in several malls all over Metro Manila. You’ll also see how your pizza is prepared from garnishing the dough with generous pieces of toppings including a liberal amount of grated cheese (like half a block of cheese) to cooking the finished product through the unique oven that lets the pizza automatically move from one side onto the receiving end once it’s cooked. It’s fun to watch service crew members prepare your meal. You are also assured that they prepare it hygienically because you see it right infront of your eyes. 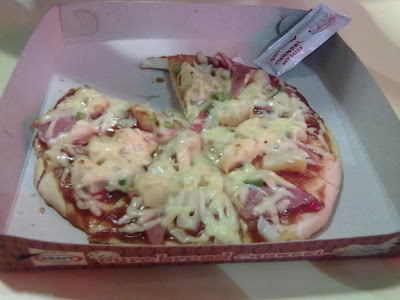 Check out Chansel at a mall near you and have a bite of delicious but cheap pizza.